POKAHRA, July 16: At a time when the government is gradually decentralizing its functions under the federal structure, banks and financial institutes (BFIs) in Pokhara are setting up their head offices in Kathmandu. 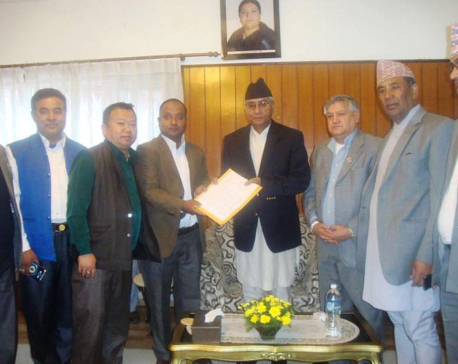 More than a dozen BFIs had their head offices in New Road of Pokhara until a few years ago. So much so that the New Road area was called the Bank Road. But in recent years, BFIs have been shifting their head offices to the capital city. Machhapuchhre Bank, a national level 'A' class bank, that used to have head office in Pokhara has started 'corporate' office in the capital. The bank's chief executive officer and most of the senior officers are now based in the corporate office of Kathmandu. Bankers say they are compelled to shift their head offices to Kathmandu after becoming a national level BFI. Govinda Dhakal, chief executive director of Garima Development Bank and first vice-president of Development Bankers' Association, said that the banks have to shift not because of business but for the sake of presence in the capital. According to the bankers, even the national-level banks are shadowed when they operate from outside the valley. Dhakal said that most of the customers do not have faith on the banks if their head offices were not located in the capital city. At the moment, only Pokhara Finance, Gandaki Development Bank, and Om Development Bank have their head offices in Pokhara. The number of BFIs has decreased due to ongoing mergers. Most of them have become larger after merger. To expand their transaction, the BFIs have been moving to the capital city. Currently most of the BFIs have their branches in Pokhara. The 'A' class commercial banks have more than half a dozen branch offices in Pokhara. As per the Nepal Rastra Bank (NRB) policy, it is not compulsory for the BFIs to keep their head office in Kathmandu. The BFIs with one, three or 10 working areas can place their head offices in one of their working districts.